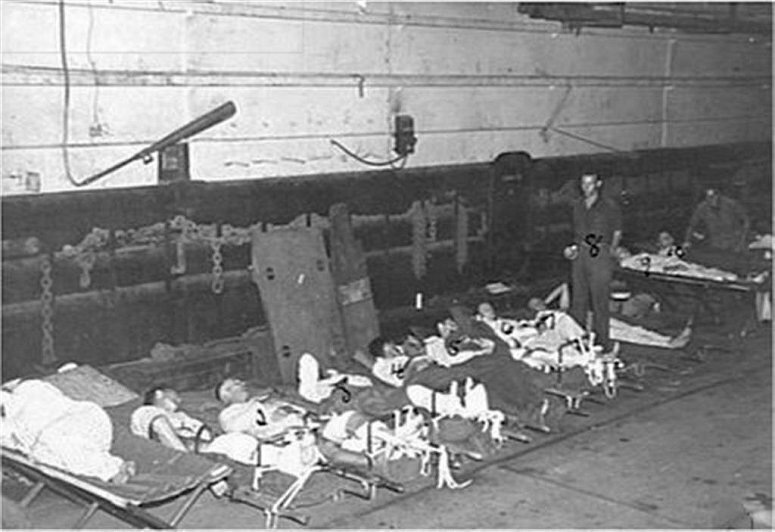 Laid down, 17 October 1942, at Kaiser, Inc., Vancouver, WA. 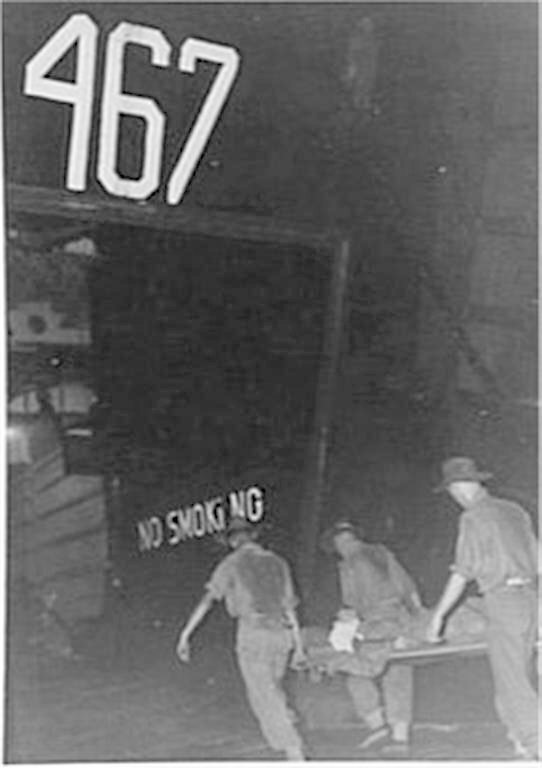 Sold 22 November 1946, to National Metal and Steel Corp., San Francisco, CA. 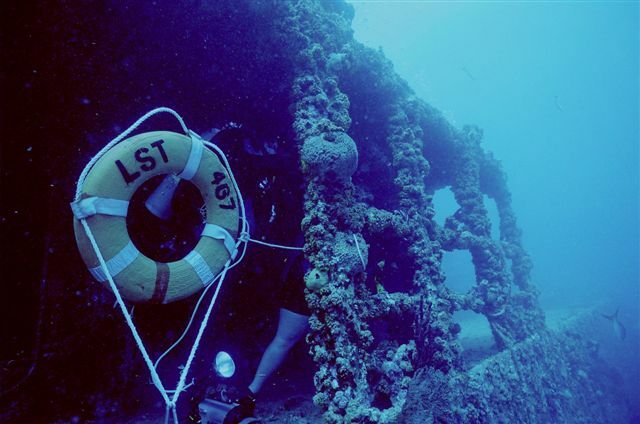 Final Disposition, sunk, date unknown, 4 miles off St.Thomas, US Virgin Islands. 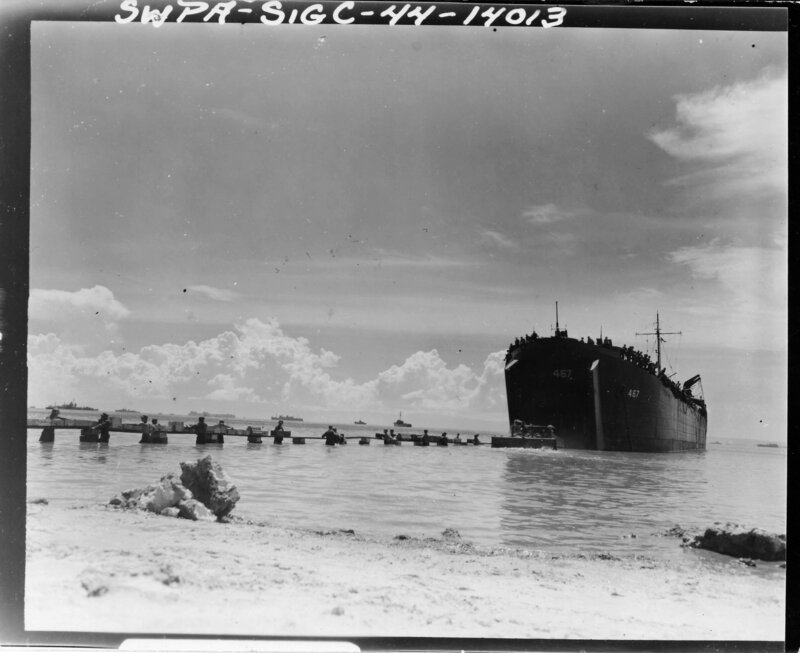 678k USS LST-467 beached at Morotai, Netherlands East Indies, 15 September 1944. 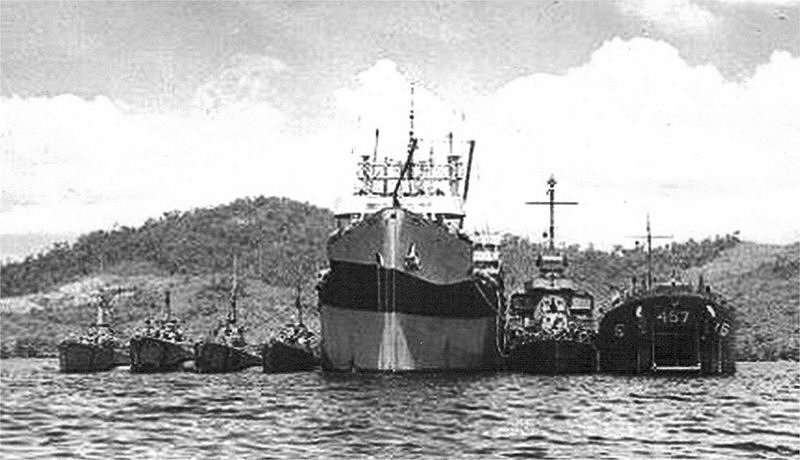 Note the makeshift conveyer system set up to bring supplies ashore. 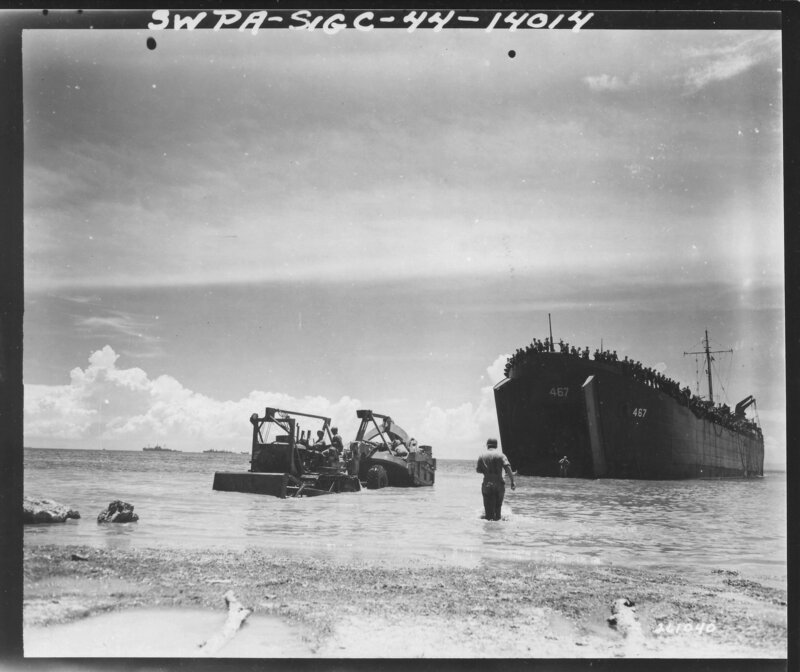 1086k USS LST-467 beached at Morotai, Netherlands East Indies, 15 September 1944, as an armored bulldozer makes its way through the water in order to reach the jungle where a road will be built leading to an airstrip. 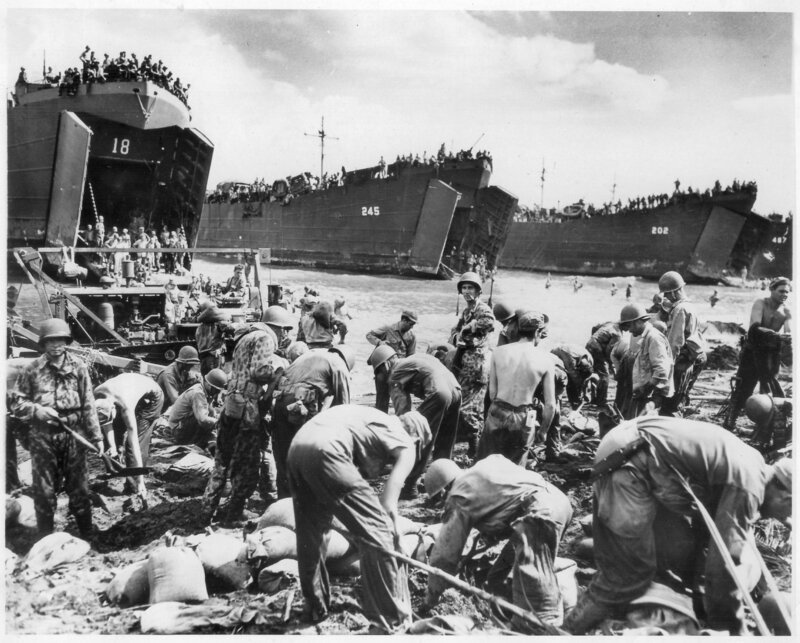 360k USS LST-18, USS LST-245, LST-202 and USS LST-467 landing troops and material, on the beach at Leyte, P.I., on D-Day 20 October 1944. 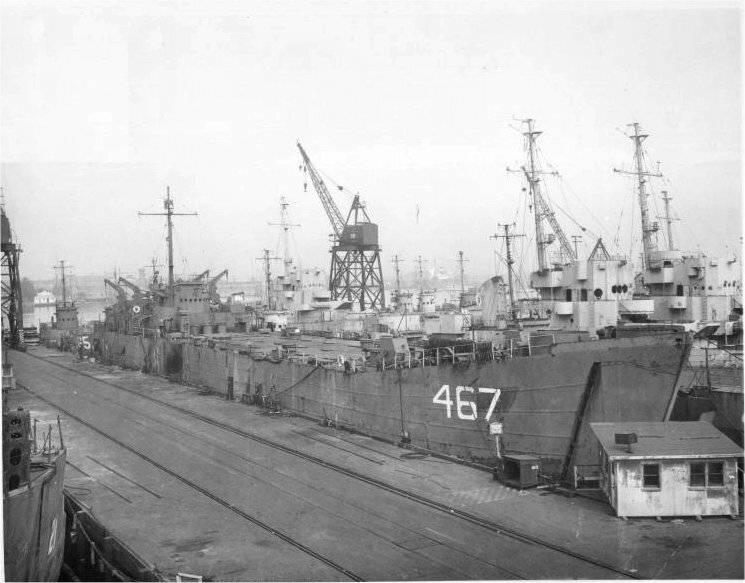 US Navy photo Raymond Cvetovich, Ph.D.
72k USS LST-467 laid up in the Pacific Reserve Fleet at Long Beach Navy Yard, Long Beach, CA. 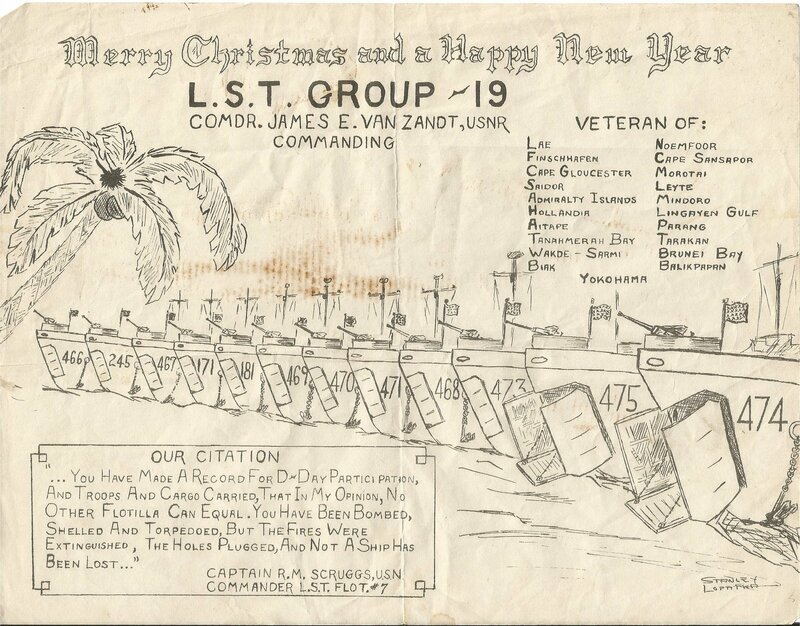 USS LSM-21's port bow is visible in the lower left corner of this photo.